Harmany Equine Clinic, Ltd has been open since 1990, bringing holistic healing to horses from all walks of life, backyard retirees to Olympic competitors. Over the years Dr. Joyce Harman has observed and adapted to the changing needs of our horses and clients. Twenty-plus years ago, no one had heard of Lyme disease or Insulin Resistance, yet today that makes up a large part of my clinical practice. Since most of my horse clients also have small animal companions, I have added small animal services at my barn. 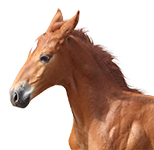 Contact Harmany Equine Clinic, Ltd to request an appointment or to request additional information about our services. We look forward to hearing from you.